Since the age of 12 I knew that I wanted to practice personal injury law and help those who have been injured by others. Much of my practice is devoted to representing individuals who have been hurt or injured through no fault of their own by reckless drivers, negligent companies, substandard medical practices, and greedy insurance companies. I understand well what it is like to work in construction and other dangerous occupations, having been a construction worker myself during my college years. In the past four decades I have been privileged to represent many clients and their families injured as the result of companies putting profits ahead of worker safety. In most personal injury lawsuits, the defendants will have insurance companies that will highly influence litigation. I know the tricks and practices they use to minimize liability, and our firm works tenaciously in seeking to prevent these tactics when they arise. Unfortunately, the tricks and practices used by insurance companies against opposing parties in litigation are often used by insurance companies against their own clients when a legitimate claim is made in order to save money. When insurance bad faith occurs, we seek to show insurance companies how their extreme and outrageous conduct will not be tolerated, and to hold them fully accountable for their wrongful and often illegal conduct. The trust that client’s place in me and this firm is gratifying. I am proud to have been able to make a significant difference in the lives of many clients when help was most needed. If I can be of service to you, please call me at your convenience. 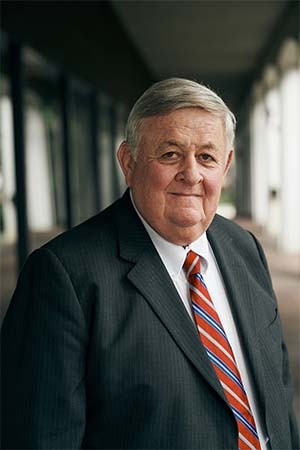 For more than 42 years Louisville attorney Bixler Howland has represented clients in insurance bad faith matters and personal injury and wrongful death cases involving nearly every type of accident and injury, including car, semi-truck, motorcycle, and other vehicle accidents, bicycle accidents, industrial injuries, construction accidents, product liability, medical malpractice, and slips, trips, and falls. He has received many awards and recognition for his legal achievements, including being named to “Superlawyers.” He is dedicated to the community, and has served as a board or council member for numerous philanthropic, educational, sports, religious, and neighborhood organizations. In addition to his personal injury practice, Mr. Howland has also been an Adjunct Professor of Business Law at Hanover College, and an Adjunct Instructor of Medical Law and Ethics at Spencerian College. Louis D. Brandeis School of Law, University of Louisville, Louisville, Kentucky, 1975 J.D.